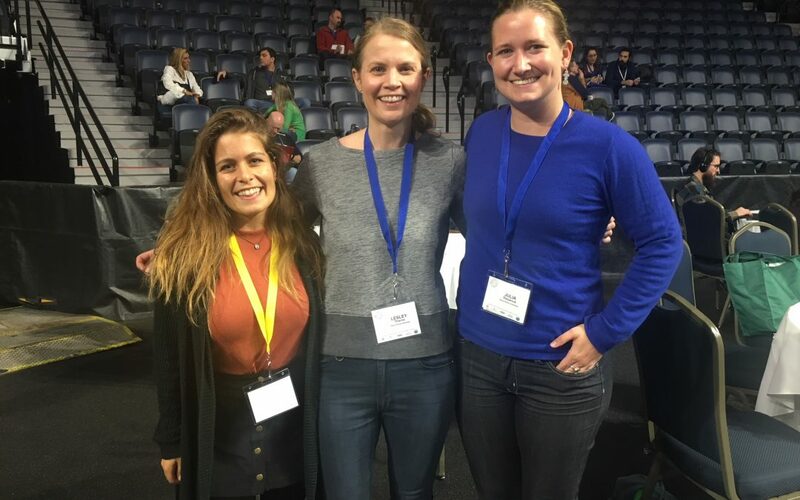 Lesley, Julia S, and Stephanie represented the Thorne Lab at the 22nd Biennial Conference of the Society for Marine Mammalogy in Halifax, Nova Scotia from October 22-27th. Lesley and Julia both presented work focused on pilot whale bycatch in the pelagic longline fishery; Lesley in a talk in the Conservation session, and Julia in a poster summarizing the findings from her Master’s thesis on Wednesday and Thursday. These presentations sought to identify patterns and drivers of short-finned pilot whale bycatch and to assess the feasibility of using predictive models to decrease bycatch. Stephanie presented a poster which assessed and compared the thermal ecology of short- and long-finned pilot whales using morphometrics and blubber properties. Preliminary findings of Stephanie’s work suggest interspecific differences in surface area to volume ratios between short- and long-finned pilot whales, and intraspecific differences between age classes for long-finned pilot whales and season for short-finned pilot whales.